Alec Bozorgi and Navy Blue Tarroy in the $15,000 Junior/Amateur Owner Jumper Classic at the International Omaha Horse Show. Photo by Lili Weik Photography. Antioch, IL – May 1, 2014 - Alec Bozorgi of Antioch, IL, started his spring with a bang by winning the $10,000 High Junior/Amateur Owner Speed Derby at the International Omaha Horse Show April 11-12, 2014. Bozorgi rode Navy Blue Tarroy, a 13-year-old Selle Francais gelding owned by Kevin Babington of Gwynedd Valley, PA to the top of the leader board. Not only did Bozorgi take the top prize, he also claimed the third place spot on Campino II, another Babington horse. Bozorgi stayed in the top ribbons for the $15,000 Junior/Amateur Owner Jumper Classic on Saturday, placing second on Navy Blue Tarroy and fourth on Campino II, the eleven-year-old Swiss Warmblood gelding. Bozorgi was grateful for his horses stating, “Both of them try their heart out in the ring and are so careful. I'm very lucky to have them. Both are my horses of a lifetime. I can't thank Kevin enough for pairing me with these fantastic partners. He's done a great job finding me the right horses at the right time." The International Omaha Horse Show was rated one of the North American Rider’s Group’s top 25 horse shows in 2013. Omaha is also in the running to host the 2017 World Cup. "It's a really special show,” said Bozorgi. “I was glad that we made it to Omaha. John McQueen, Lisa Roskens and all the other organizers do an amazing job of making it a unique event. Spectators come in from all over Omaha, and many of them have never even seen a jumping competition before. It's a nice feeling to have a crowd cheering for you. The atmosphere is really relaxed, and everybody is having fun. They did a great job putting together competitive classes with some really fun courses. I would recommend the show to anybody." Bozorgi is a high school senior graduating in May. He spent some time at the Winter Equestrian Festival this winter training and showing with Kevin Babington. Prior to WEF, Bozorgi participated in the George H Morris Chicago clinic in November and the Natural Obstacle clinic last September. He was also a finalist in the 2012 USHJA Emerging Athletes Program. The young rider was also selected for the George H Morris Gladstone Program Training Session at Hamilton Farm in Gladstone, NJ, May 19-25, 2014. Only ten riders were selected by Morris to participate in the session. 1The purpose of the program is to continue to educate, support and guide potential “team” riders on the overall knowledge and expertise required to succeed at the top level of show jumping internationally. In addition to daily training sessions with Morris, the riders will participate in hands on sessions with a veterinarian, farrier, top team stable manager, physiotherapist, and high performance business executive. Each rider will meet one-on-one with Morris during the week to discuss their current and future plans and Morris will help guide them in putting together a program that will continue their preparation for international “team” competition. Morris will also remain available after the program to follow up and monitor each rider’s progress. "I'm beyond thrilled to have been accepted to Gladstone,” said Bozorgi. “Going into the application process, I knew there would be a lot of very experienced and qualified riders applying, so I tried to be realistic about my chances of getting in. The phone call came while I was at school, and I was so excited to get the good news. It's a huge honor to be included in a program like this. I've been lucky enough to have worked with Mr. Morris a few times before at clinics and I always walk away a much better rider than I did coming in. He's a truly special teacher because he has a way of bringing out the best in you. I love the challenges he presents you at his clinics. He'll have me doing exercises that I didn't think I could do before. It's not every day that you get to work out of Gladstone, where some of our country's greatest show jumpers rode. I also owe Diane Carney a huge thank you for helping organize the program and prompting me to apply. She's been a great help with everything." When Bozorgi isn’t busy showing, he helps out with the family farm, Believe It Farm in Antioch, which specializes in equine rehabilitation. Parents Susan and Kenny and sister Amanda, are all equestrians as well, each using their outside skills and experiences to run an efficient program at the farm. The facility is set on 20 acres adjacent to forest preserve, providing for ample turnout, roomy stalls, quality footing, dust-free bedding and specialized care. 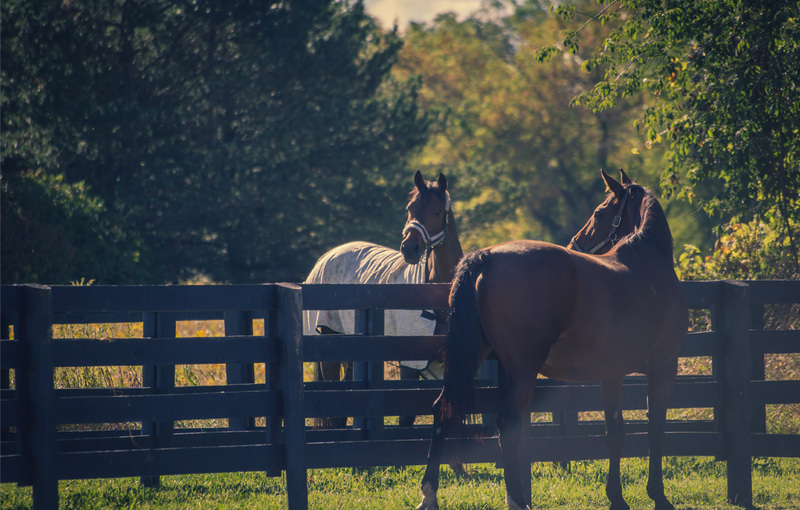 The facility is specifically geared to horses needing rest and rehabilitation. Each horse has a carefully customized program for its care and rehabilitation. 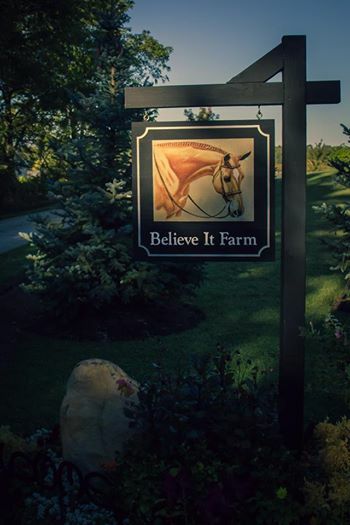 Years of planning and experience have gone into making Believe It Farm a top of the line center for specialized equine care. 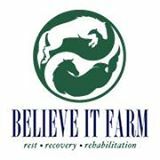 For more information on Believe It Farm and their rehabilitation and special needs services, please visit their website at www.believeitfarm.com. For a complete list of the International Omaha results, visit worldclasshorseshows.com/2014-winners. 1) USEF, (April 2, 2013), USET Foundation News, George H. Morris “Gladstone Program” Intensive Training & Team Preparation for Show Jumping Riders.